This Wednesday EEDS has a special opportunity! 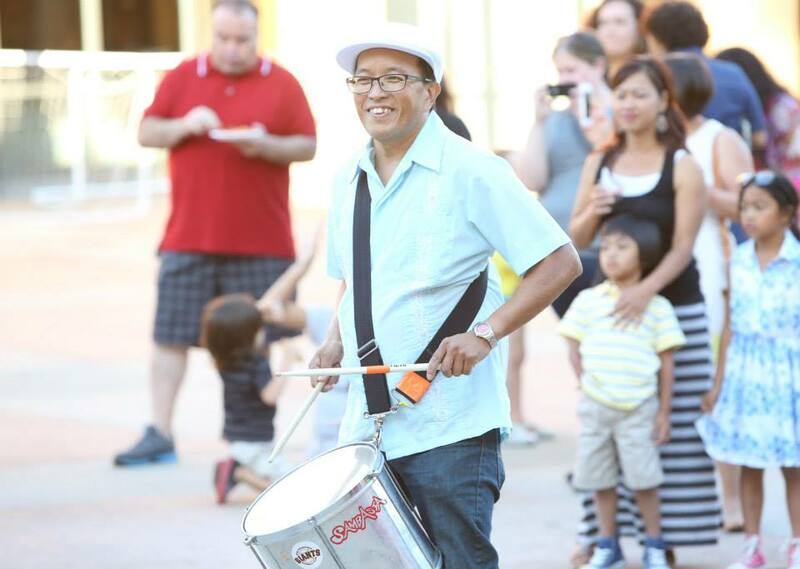 Friend of EEDS and master percussionist Jimmy Biala will be leading a special percussion class. Jimmy joined us for our 4th of July parade in past years and are happy to have him in town again. We are going to learn some new rhythms and will also be perfecting our bateria techniques. Instruments will be provided, but you’re welcome to bring your own as well. All are welcome. Invite your friends! When: Wednesday, June 17, 7-9pm, Please RSVP on our Facebook Event page! Today is also the final day to support our Kickstarter – help us make a final push! This entry was posted in 4th of July Parade, Classes, Kickstarter and tagged classes, Jimmy Biala by Evanston Escola de Samba. Bookmark the permalink.